Homage to the Eagle. Original painting in acrylic on canvas, 40 x 30 inches. SOLD. 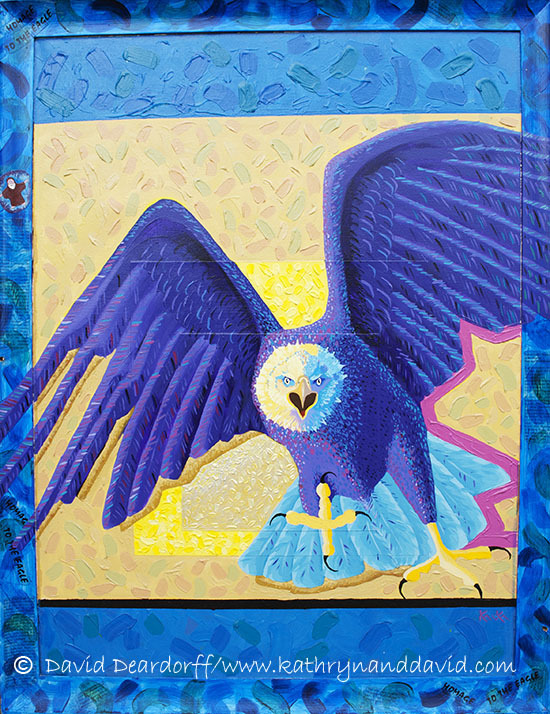 The bald eagle’s comeback from the brink of extinction is celebrated in this homage to our magnificent national bird. Plus taxes, shipping, and handling charges.